JaNay Brown-Wood’s beautiful story takes its inspiration from the adumu, the traditional jumping dance performed by Maasai men. It is the perfect context for Imani’s determined leaping to touch the moon. Hazel Mitchell’s illustrations capture the magical spring of the dance and provide direct comparison between young warriors performing the adumu and Imani’s perseverance, as she leaps with legs together, toes pointed downwards, and arms straight by her side – one, two, three times; getting better with each attempt. In fact, the illustrations are beautiful – they sketch in the landscape and village scenery, and Imani herself is adorable. They heighten the slightly surreal quality of the story. They provide her with her silent friend, a faithful little goat. It is indicative of the quality of the story-telling, and the way that the words and pictures work together, that the blend of realism and imagination does not need to be called into question; it just works. Where Imani is shown with her mother, the illustrations emanate the strength of their love and provide a sense of where Imani fuels herself with the resilience to rise above her peers’ taunting: the perfect reflection of her mother’s words, which reverberate through the narrative and will linger long in the hearts of young readers. 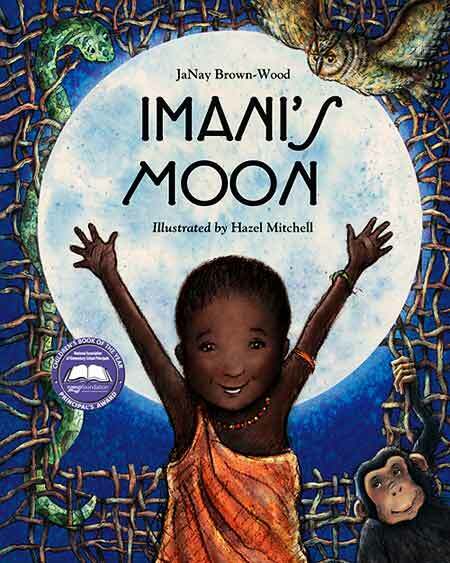 Imani’s Moon will resonate with young readers – they will recognise and condemn the hurt caused by the other children, and they will carry away with them the story’s message of perseverance and resilience. They might just want to find out a bit more about the Maasai,too – and they will certainly feel inspired to follow their own dreams. Read and interview with JaNay Brown-Wood at Miss Marple’s Musings. 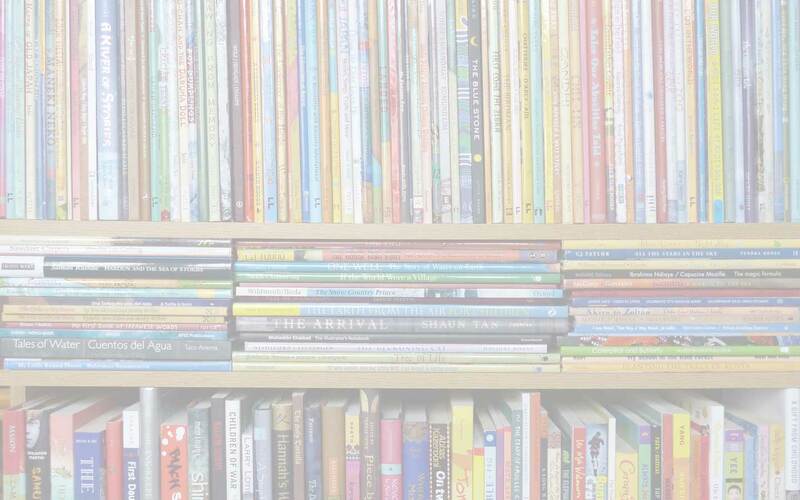 Charlesbridge Publishing, children's books about the Maasai, Hazel Mitchell, Imani's Moon, JaNay Brown-Wood, Mackinac Island Press, MWD book reviews, picture books that empower children. Bookmark. Thanks so much for reviewing Imani’s Moon! It’s a beautiful book, Hazel, and I love your artwork. Lovely review Marjorie. You’ve captured the way the natural and magical settings blend together beautifully!